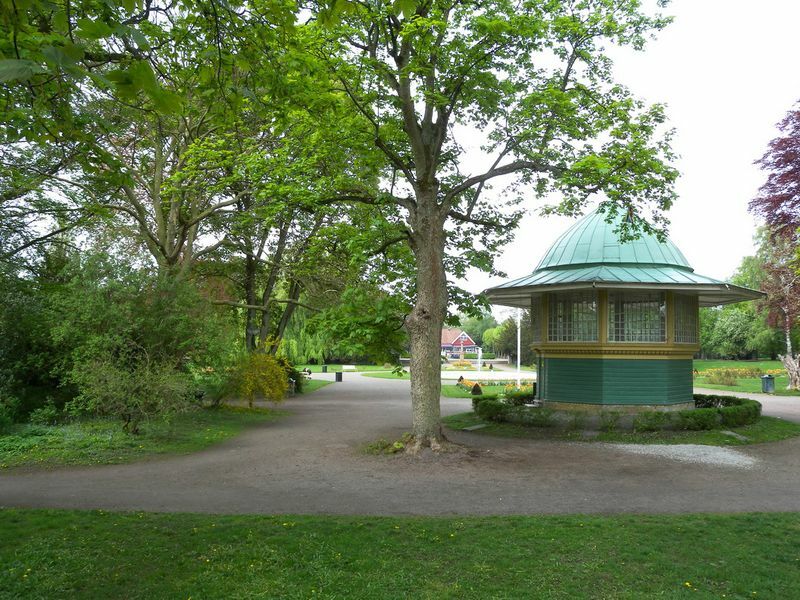 In June 2011, Lund City Park celebrated its 100th anniversary. This date marked the opening of the City Park as such in 1911, after substantial redesigns and investments made in the wake of the Industry, Crafts and Arts Exhibition on the site in 1907. Ever since 1911 the park has been much beloved and used by Lund’s citizens and visitors. Today Lund City Park displays a mix of various stylistic ideals and hosts a variety of features that represent more than 100 years of changes in design, infrastructures, monuments, management and use of urban parks: The German/French style dominates the central part, while the English style with winding walks and large groups of trees characterizes the rest of the park. There are more than 650 trees – exotic (like the Fern-leaf Beech, the Red Sycamore Maple, the Katsura or the Kobushi Magnolia) as well as indigenous species like beech and lime. The City Park also has many diverse flowerbeds featuring perennials and roses as well as summer flowers. 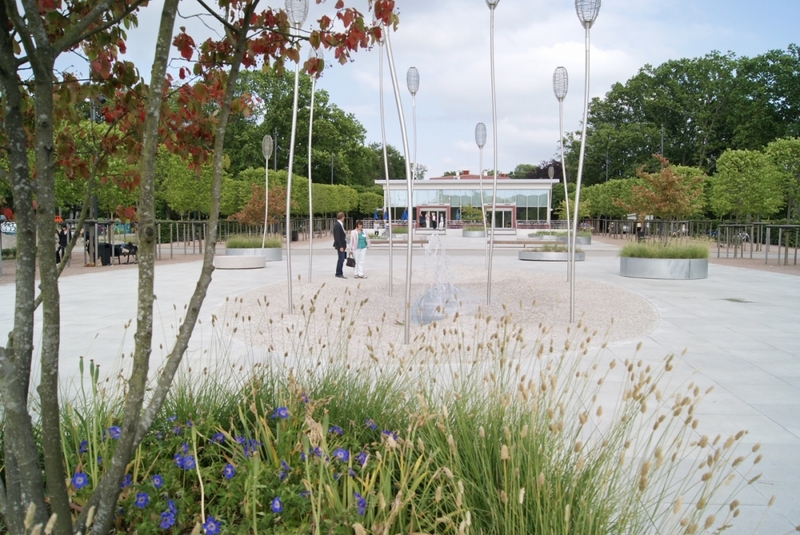 Therefore in 2009, a decision was made to use the centenary for making a gift to the City Park and to the citizens and visitors of Lund alike by setting up and implementing a development plan, designed by Ulf Nordfjell. This presentation will be updated. The webpage www.lund.se informs about recent developments. 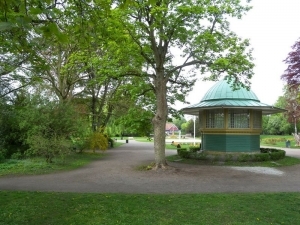 In June 2011, Lund City Park celebrated its 100th anniversary. This date marked the opening of the City Park as such in 1911, after substantial redesigns and investments in the wake of the Industry, Crafts and Arts Exhibition on the site in 1907. Ever since 1911 the park has been much beloved and used by Lund’s citizens and visitors. Today Lund City Park displays a mix of various stylistic ideals and hosts a variety of features that represent more than 100 years of changes in design, infrastructures, monuments, management and use of urban parks: The German/French style dominates the central part, while the English style with winding walks and large groups of trees characterizes the rest of the park. There are more than 650 trees, exotic (like the Fern-leaf Beech, the Red Sycamore Maple, the Katsura or the Kobushi Magnolia) as well as indigenous species like beech and lime. The City Park also has many diverse flowerbeds featuring perennials and roses as well as summer flowers. On the other hand, this mix lacks a clear structure and some of the park’s features and sections need upgrading, redesign or refurbishment – even more so as the urban surroundings have changed too. Once located on the fringes of the historic city of Lund, the City Park is now surrounded by urban structures. Thus it is not only the central green core of downtown Lund with an enormous pressure caused by high visitor numbers and different needs of various user groups and visitors, but also a linking element and sometimes also a blockage in the urban transport network. Therefore in 2009, a decision was made to use the centenary for making a gift to the City Park and to the citizens and visitors of Lund alike. This present is a development plan (download in Swedish or in English) for the park, created by Ulf Nordfjell, one of Sweden’s most prestigious landscape architects. The first stage of the long term development will be completed in time for the anniversary. This first stage includes a main route between the city centre and the ring road, arena and other quarters in the west. A new entrance will be built behind the café, which will be renovated and complemented with a restaurant. Here a broad-lit walkway into the park, lined with topiary trees and a water feature, starts. It will continue through the park and into the area of the old observatory by a newly built bridge and/or transition of the old city embankment. Future development, which will enlarge the City Park but also strengthen its identity, includes an imaginative playground, sporting facilities, a Nordic jungle and a creative centre in the old observatory. Opening times: Open all year round, all day. WC: Yes (in the restaurant & by the bird aviaries). Average visitor duration: 1 hour. Accessibility – in the park/ garden from the car park: 10 minutes walk from the city centre and train station. The main paths are suitable for visitors with limited mobility. Dogs are to be kept on a short leash. Use your poop scoop.